Site excavation can be back breaking work, leave it to us– you can have the day (or usually days) to go have fun. 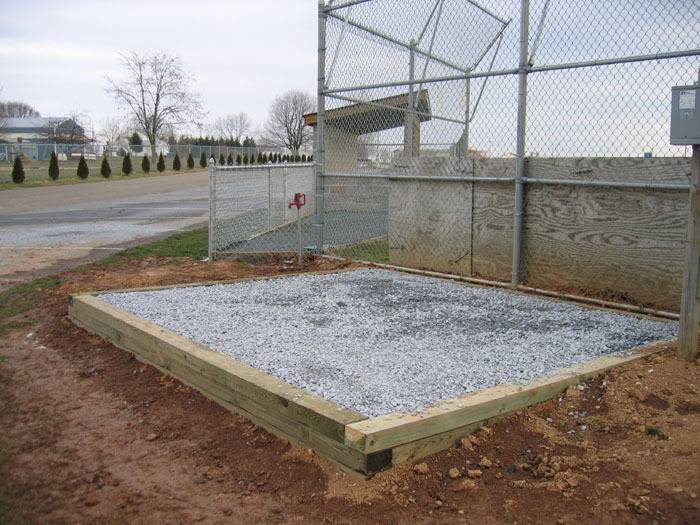 • Less scheduling and project coordination – we take care of your storage building project from beginning to completion. You won’t have to deal with the stress of worrying about the site being ready in time for the building delivery. 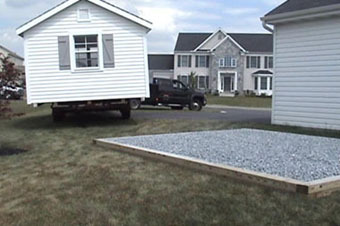 • You can be sure that your pad will be square and level for proper building placement. A level site is necessary to keep your doors working properly. 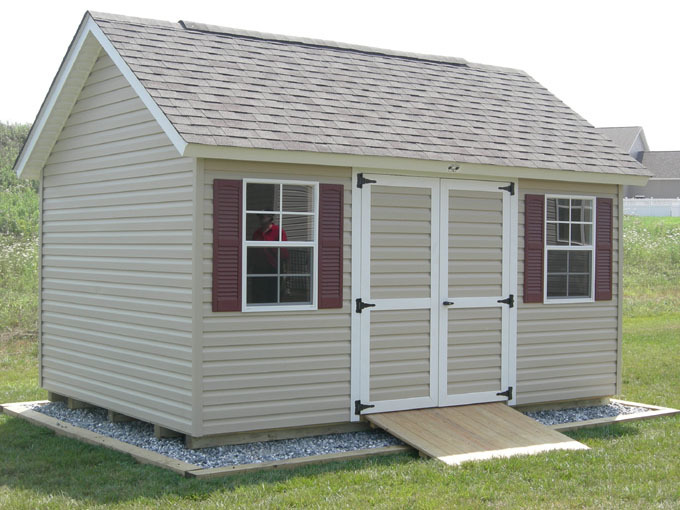 • Experience - we know what it takes to properly set a storage building because we’ve done thousands of them. We will make sure yours is done right too. 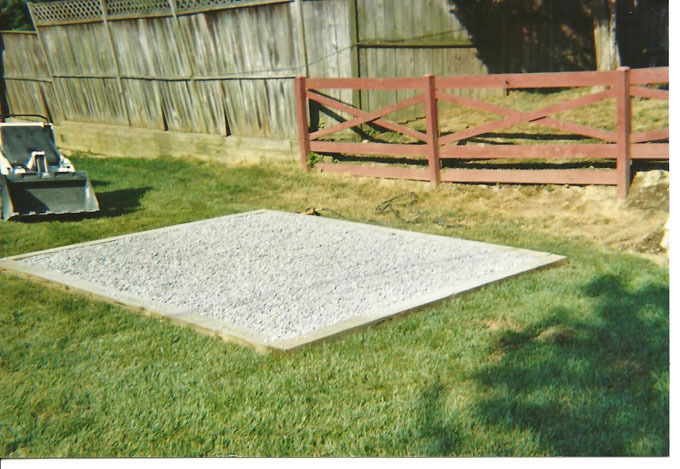 • Our stone pads are built to provide a roof drip line – this reduces mud pooling around your building. 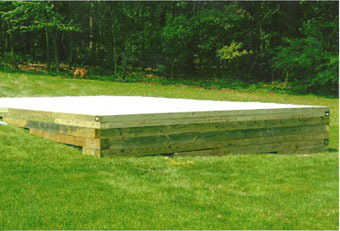 • The Lumber Frame provides a mowing edge to save you time when you trim. 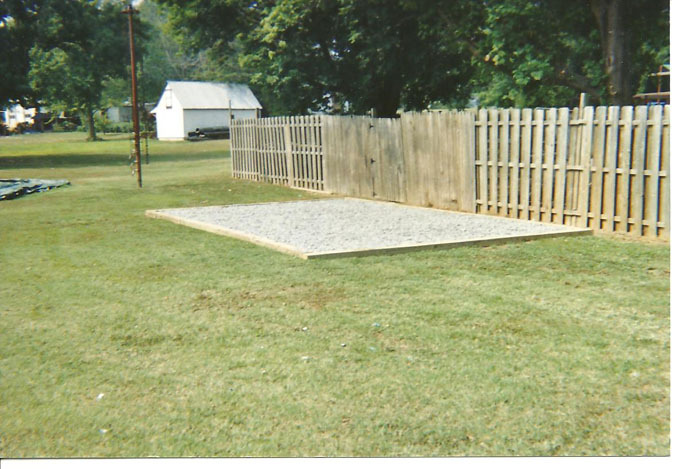 • A stone pad gives a finished appearance to your project and adds value to your property. • You won’t have to wait for your friends to show up to get your project completed. We bring all of the tools, material, and manpower to get your project done. 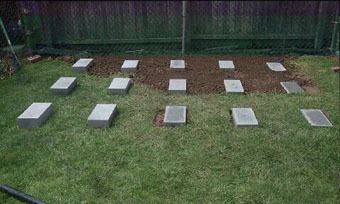 Stone extends one foot in either direction which allows rain water to wick away. Having a level base is critical for appearance as well as function. It is the home owner's responsibility to obtain the proper building permits when required and to have them displayed on the site as instructed by the issuing office. Ask us about how we can help you with obtaining the permits.